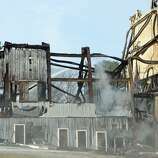 Smoke rises from the remains of the Shakespeare Theater in Stratford, Conn. on Monday, January 14, following a fire early Sunday morning that engulfed the structure. 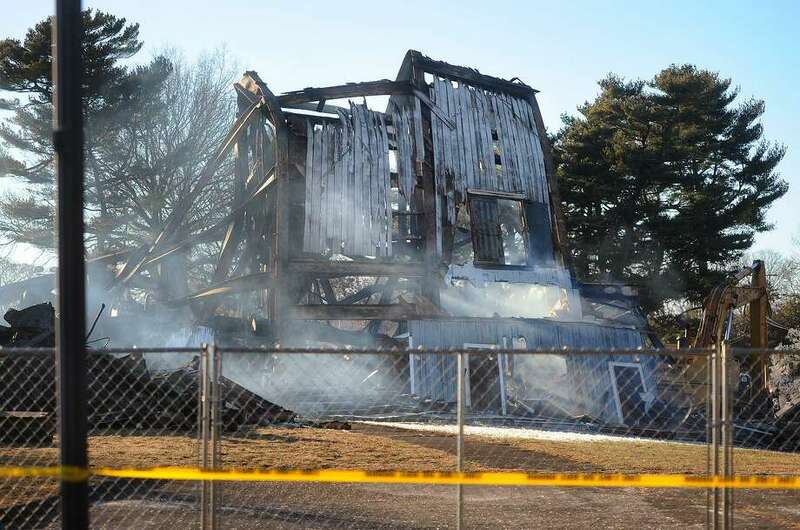 HARTFORD — Four lawmakers representing Stratford have requested the governor award $5 million in state bonding assistance to rebuild the town’s iconic Shakespeare Theater, which burned to the ground last weekend. State Sen. Kevin Kelly, R-Stratford, Rep. Joe Gresko, D-Stratford, Rep. Ben McGorty, R-Shelton, and Rep. Phil Young, D-Stratford, sent a letter to Gov. Ned Lamont and Melissa McCaw, secretary of the Office of Policy and Management, laying out their join request on Friday. The request will be analyzed by government staff before being presented to Lamont and McCaw, who will decide whether the item will appear on the state Bond Commission agenda for a vote, said Chris McClure, a spokesman for the governor’s office and OPM. 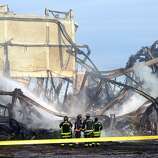 Lawmakers have previously asked for $1.5 to $5 million to invest in the theater — which was mostly idle for nearly 30 years before the fire — under previous administrations. Kelly’s first job was at the theater, working alongside his mother and aunt. 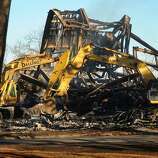 “The tragic loss of our theater, a integral part of our community history, is devastating,” he said in a written statement. The theater, which opened in 1955, was modeled after the Globe Theatre in London, built in 1599. In its heyday, many Oscar-winning actors performed at the Stratford landmark. It closed after its last run of productions in 1989, though special events and fundraisers had been held there in the years since. The town of Stratford acquired the theater in 2005, along with the 14 acres of waterfront property it sits on. 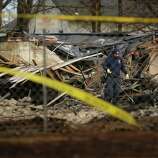 The theater had fallen into disrepair before it caught fire early Sunday morning. Conversations about how to revitalize the property are beginning.